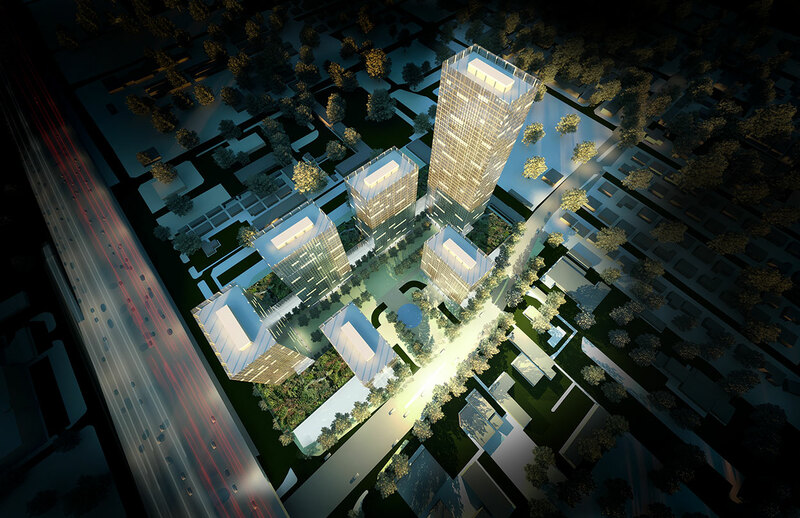 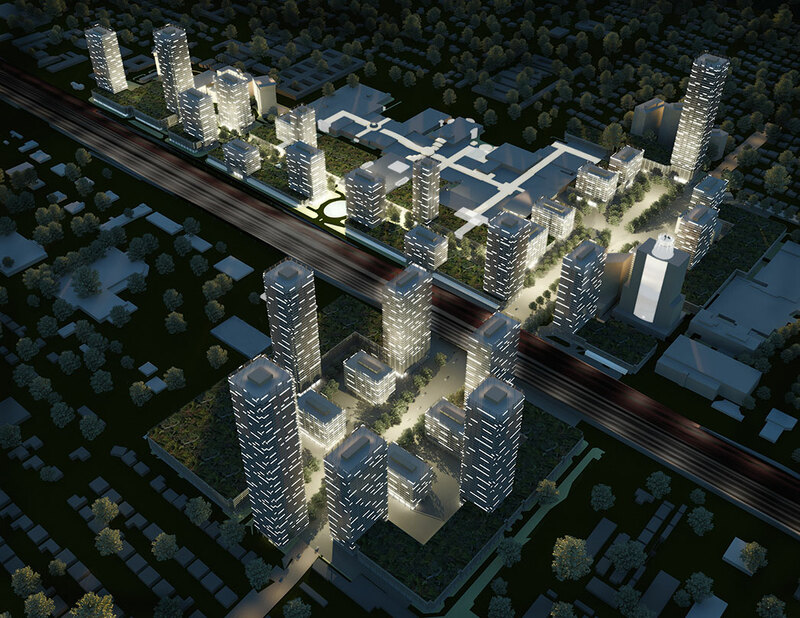 The study focused on the planning of two sites: a large commercial and corporate development to the north of the highway, and a mixed-use development east of the mall. 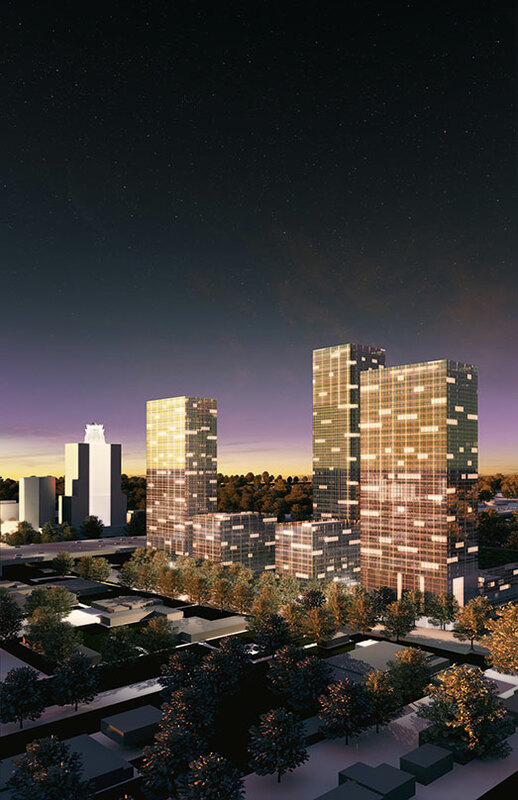 Each proposal was developed to test density, phasing, and green space, providing our client with an array of marketing tools for attracting potential tenants. 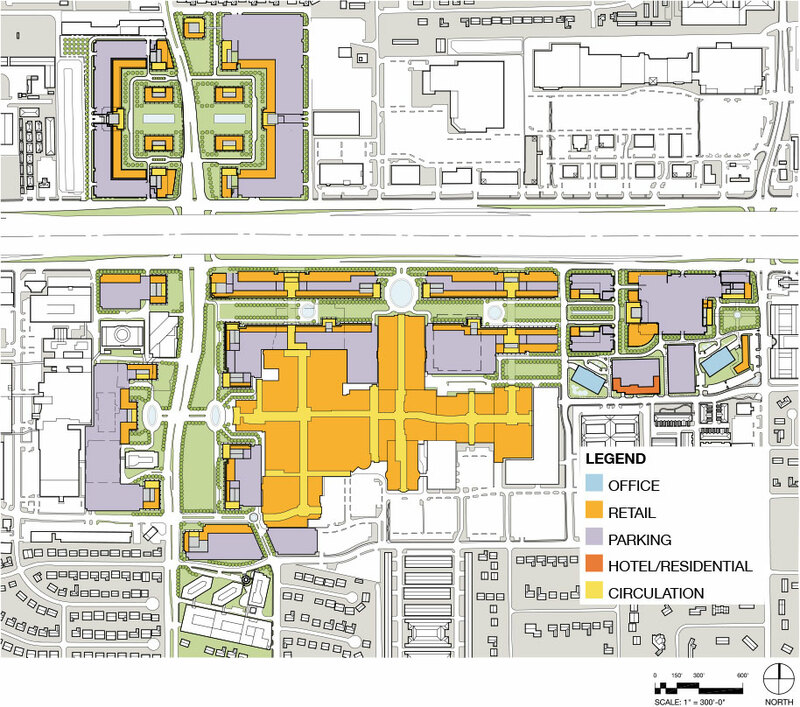 Additionally, Pickard Chilton was asked to provide a 50-year plan for the district as a backdrop for the development of the north and east sites. 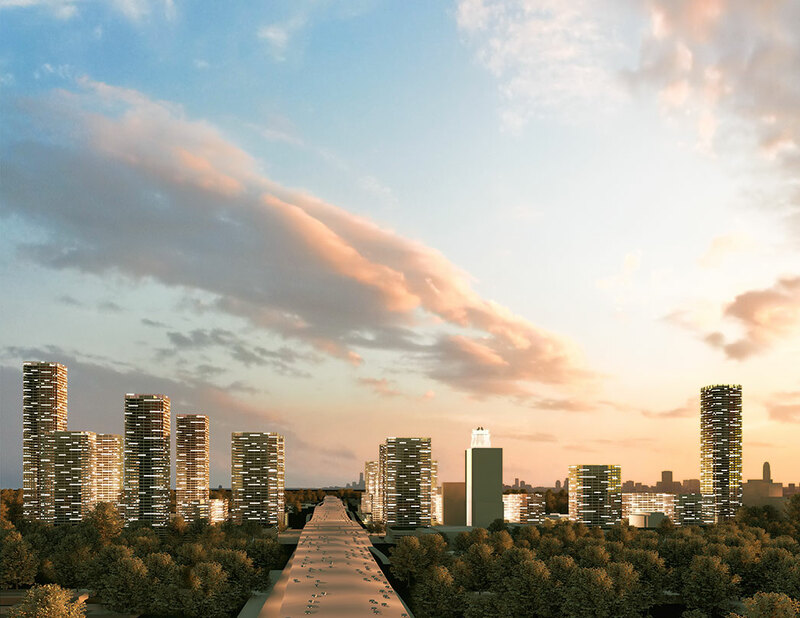 The 50-year plan is designed to develop the main access road as a connective boulevard, further enhance the pedestrian connection from the existing hotel, through the mall to the east site, and to provide green spaces interconnecting the entire district.